Is there a fee to get the card? There is a One-Time Card Fee, which is charged when you first fund your card. Based on the card design you choose, the One-Time Card Fee is $3.95 or $9.95. 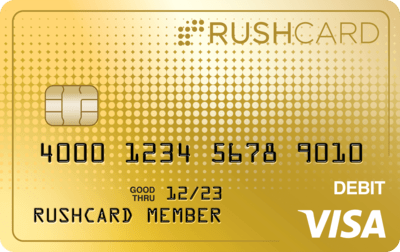 Can I have more than one RushCard at a time? Yes. You can have up to four different RushCards at the same time. Can I have an additional card for a friend or family member? We do not issue multiple cards. However, your friend or family member can apply1 for his or her own Prepaid Visa RushCard here.